If there’s one baby food that every Mom in India feeds her baby, it’s got to be the ever-popular Sathumaavu, also known as Health Mix! And it completely deserves that name, considering the amount of healthy ingredients packed in this simple-looking powder. 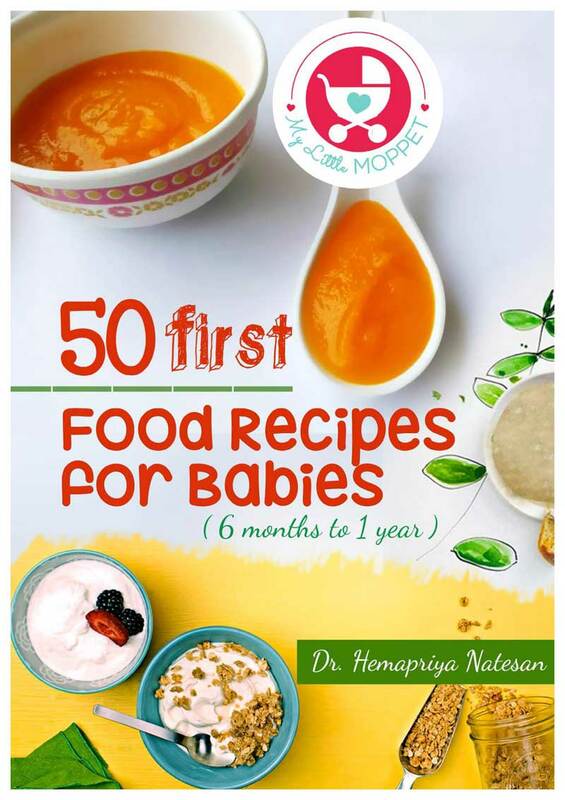 And if you think that Sathumaavu is restricted to weaning foods, then think again! 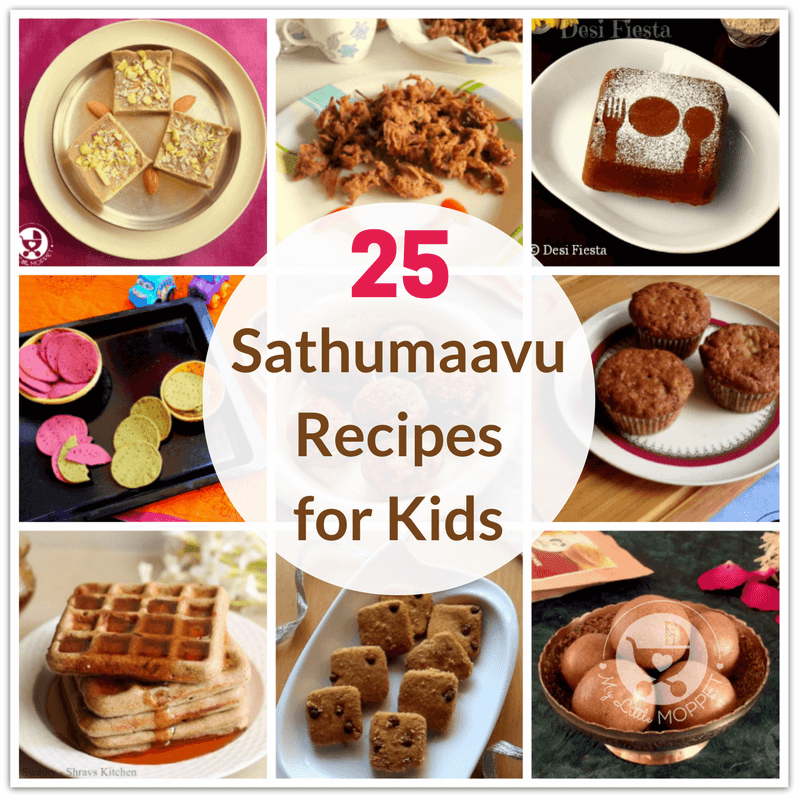 Sathumaavu is incredibly versatile and can be had by the whole family, as this list of 25 Sathumaavu Recipes for Kids! 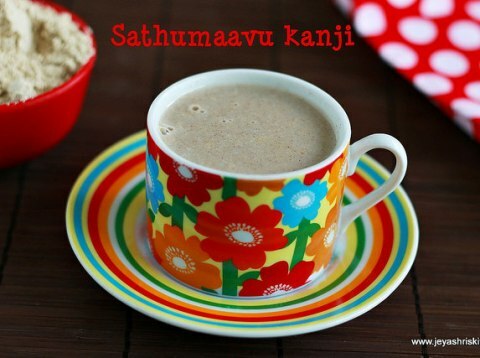 Check out our Homemade Sathumaavu Recipe which you can make and store, to use as and when needed. You can also check out our Sprouted Sathumaavu Recipe which has the additional benefits of sprouted grains, making the nutrients more bioavailable. But if like other busy Moms, you live in the real world and can’t spare the time to individually roast and grind all the ingredients for Sathumaavu, don’t worry! 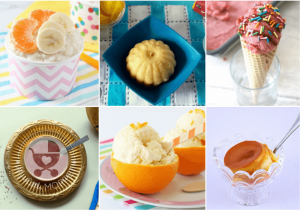 You can still give your kids Homemade Sathumaavu Powder, delivered straight to your doorstep! 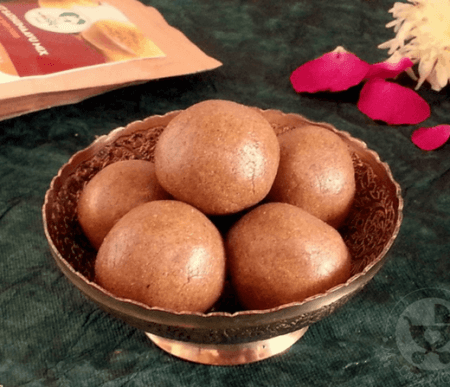 The simplest recipe you can make with Sathumaavu is probably this Sathumaavu Kanji from Jeyashri’s Kitchen. A cup of this warm, comforting porridge and you’ll feel all good all day! 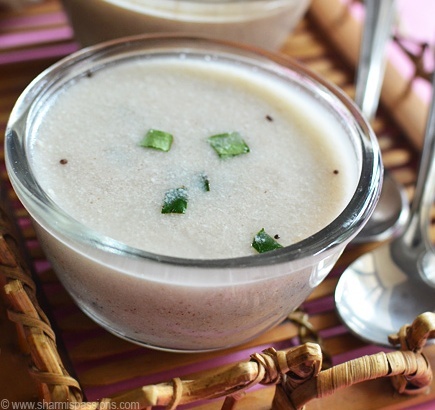 If your kids don’t fancy the sweet version of Sathumaavu Kanji, you can try this savory Sathumaavu porridge from Sharmis Passions. The recipe uses buttermilk and is quite yummy! 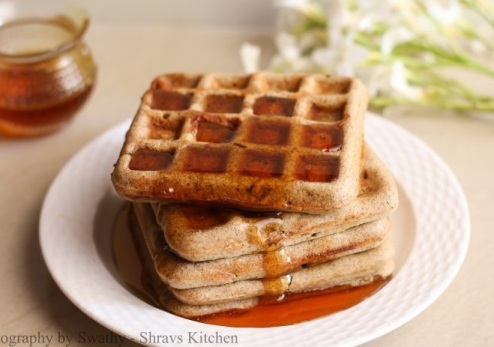 Who would think of using Sathumaavu in waffles? 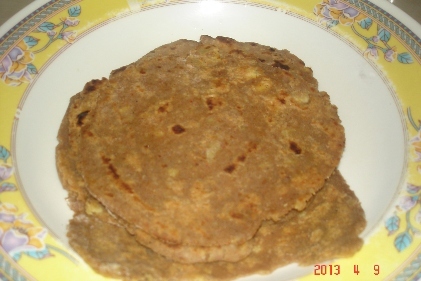 Well, that’s exactly what they’ve done at Shravs Kitchen, and they’re made with ragi too, for good measure! 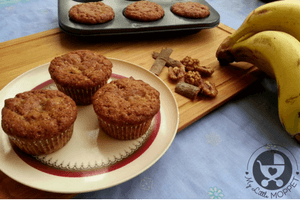 Muffins are always a favorite with kids, so make the most of this craze by making these healthy Sathumaavu Banana Muffins – fruit and multigrain in one go! 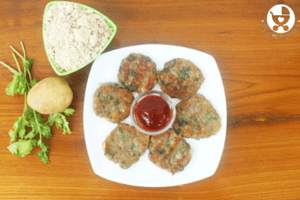 Next time you’re planning to make Pooris for breakfast, try these Sathumaavu pooris from Hot Tavas and Ovens. They’ll taste just as flavorsome as your regular pooris, if not better! 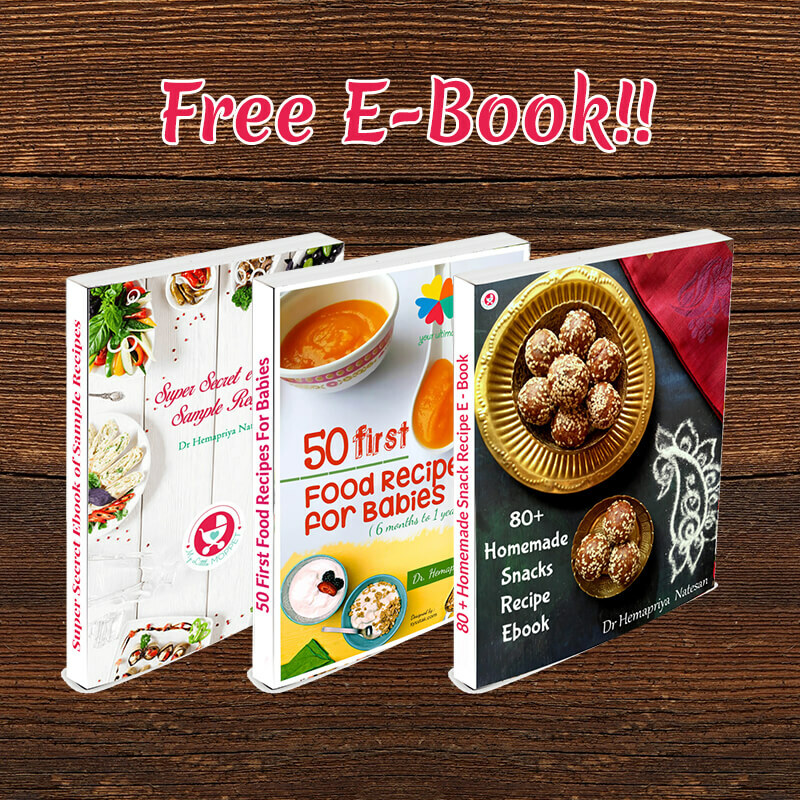 Every busy Mom loves instant fixes – as long as they’re healthy! With this recipe from Chitra’s Food Book, you can be assured that you’re saving time, but not at the expense of nutrition. Idiyappams are string hoppers made of rice flour, a popular breakfast dish in Kerala. 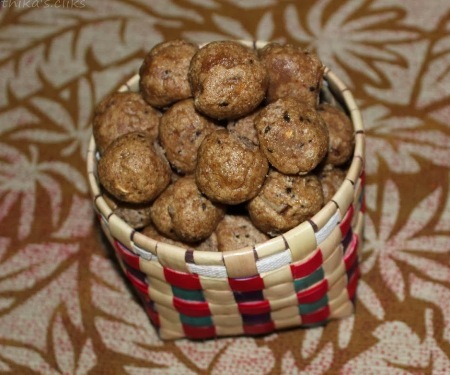 These hoppers from Soups to Desserts are made of Sathumaavu and are quite a unique take on a traditional dish! We’ve mentioned how sprouting makes the nutrients in grains and lentils more bioavailable, meaning that our bodies can absorb them better. 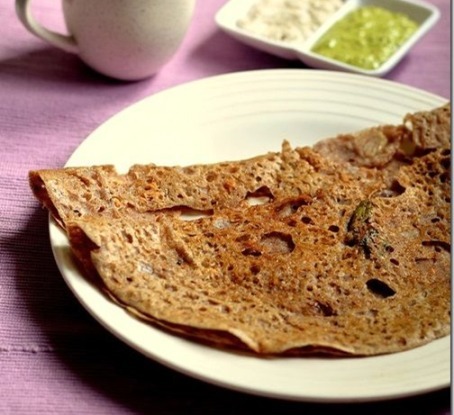 So give your kids easy absorb nutrients with this sprouted Sathumaavu dosa! 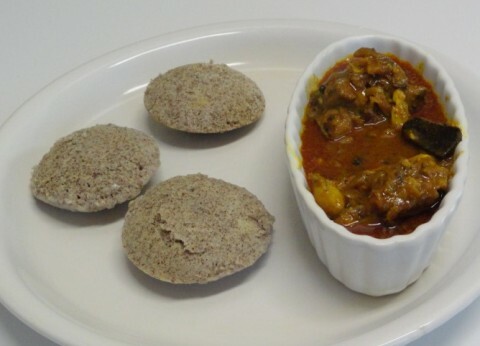 It’s not just dosas that you can make with Sathumaavu, you can make idlis too! 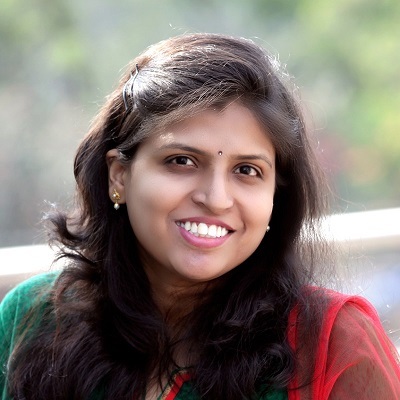 Kitchen Tantras has the perfect recipe for a multigrain idli that uses Sathumaavu powder. If you’d like a nice, big paratha slathered with ghee, it’s okay! Make sure this indulgence is balanced with healthy ingredients by making your paratha with Sathumaavu, like they’ve done at Durgas Delicacies. Paniyarams or dumplings are popular snacks in India, known by different names in different regions. 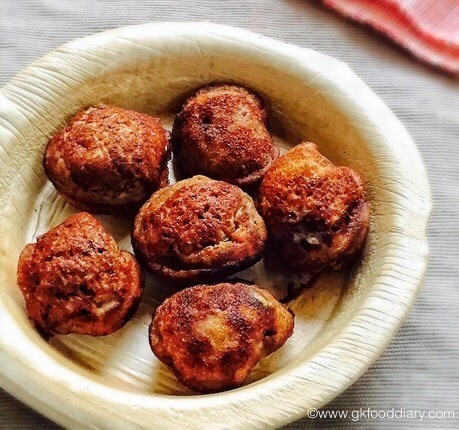 GK Food Diary has a nice recipe for Sathumaavu dumplings that make great finger food. 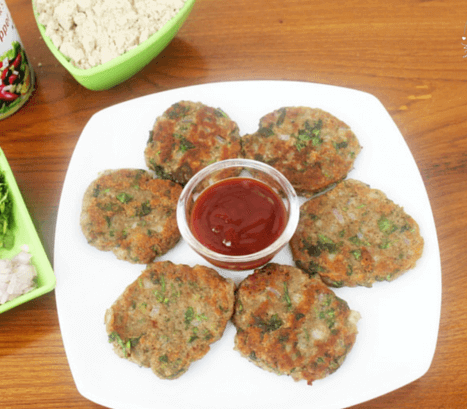 Tikkis are really easy to make, and these Sathumaavu cutlets are no different! Add in veggies of your kids’ choice to make them more appealing. Who doesn’t love chocolate chip cookies? 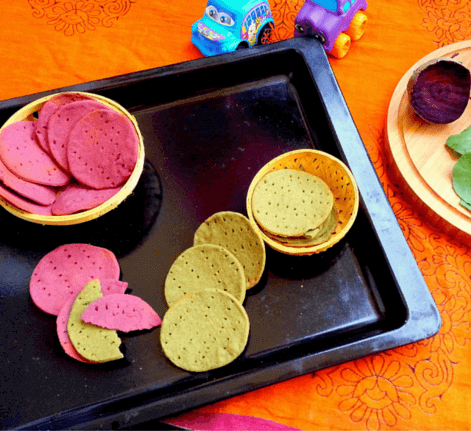 We’re sure these cookies from Kurinji Kathambam will be a hit with your kids too! The best part – there’s no sugar! 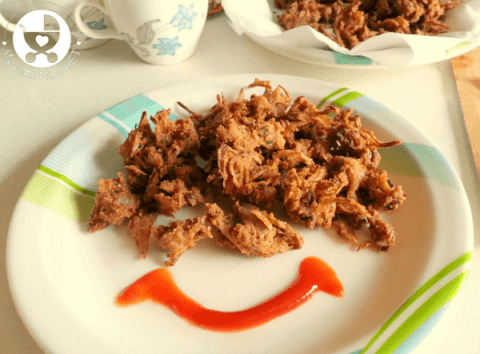 Pakodas often get a bad rap for being oily, fried and in general, unhealthy. But not these pakodas, made with the ultimately healthy Sathumaavu! 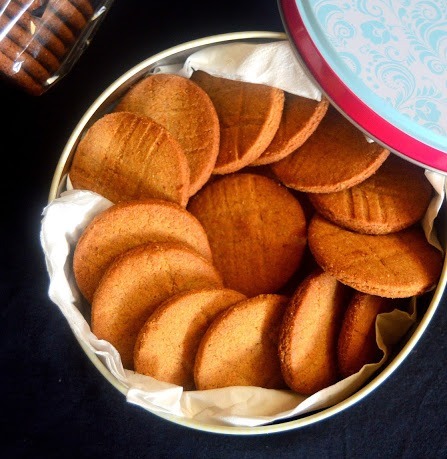 These go perfectly with a cup of hot chai! How about a traditional favorite for your kids’ after school snack? 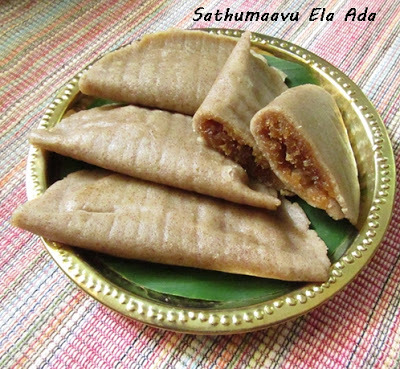 Try this Sathumaavu Kozhukattai recipe from Delighted by Cooking, which are melt-in-your-mouth yum! 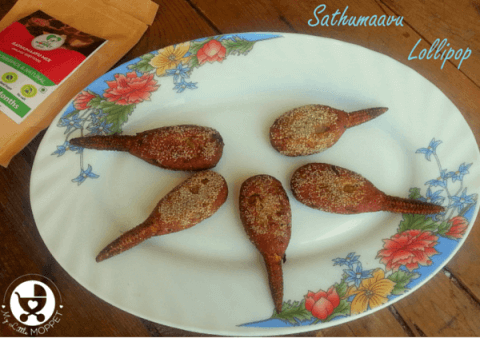 Nope, lollipops aren’t just the sweet variety or made of chicken – they can also be made of Sathumaavu! These lollipops are perfect for little hands to hold on to and munch while watching their favorite TV show. More Kali isn’t as popular as tikkis or cookies for kids snacks, but it deserves a try! 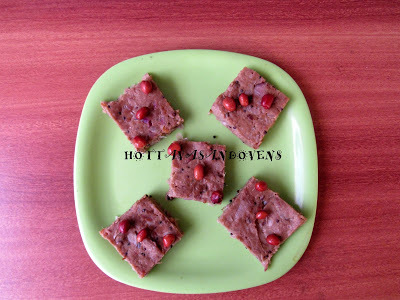 This version from Hot Tavas and Ovens uses Sathumaavu, taking up it’s nutritional level. One thing that’s sure to work if all else fails are cookies! 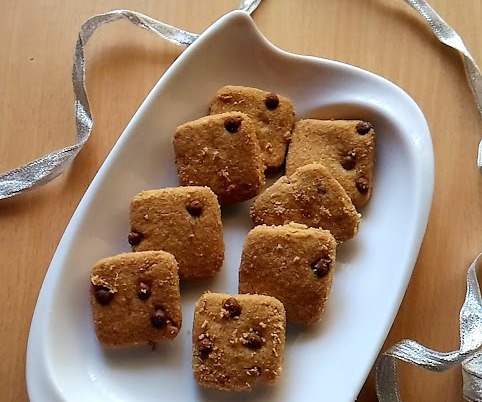 This Sathumaavu Cookie recipe from It’s Pot Luck is sure to disappear – the kids won’t even realize that these aren’t made of the usual maida! Now how do you get the fussiest eater to eat veggies? Easy, turn them into crackers! 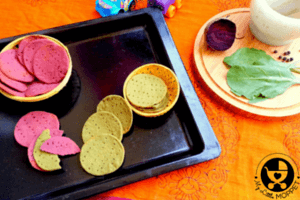 This recipe uses Sathumaavu along with palak and beetroot for some colorful, yummy and healthy crackers. The Ela Ada is a traditional South Indian snack, steamed in a banana leaf. This version from Boni’s Healthy Twists uses Sathumaavu, and since it’s steamed, you don’t need to worry about the oil either! 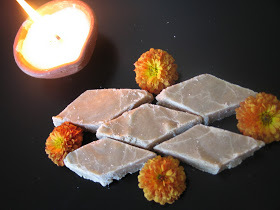 You don’t need to wait for a festival to make this yummy burfi! 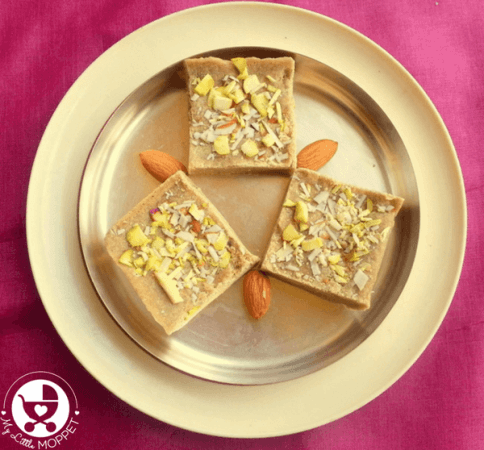 This is a great healthy treat to serve your guests – they’re sure to be impressed that the burfi’s so healthy! 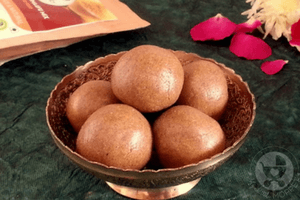 Laddus don’t have to be dripping in ghee, they can be smart, sophisticated and healthy, just like this Millet Sathumaavu Laddu recipe! 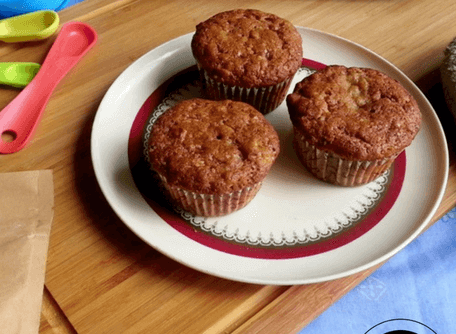 Kids pestering you to bake them a cake? 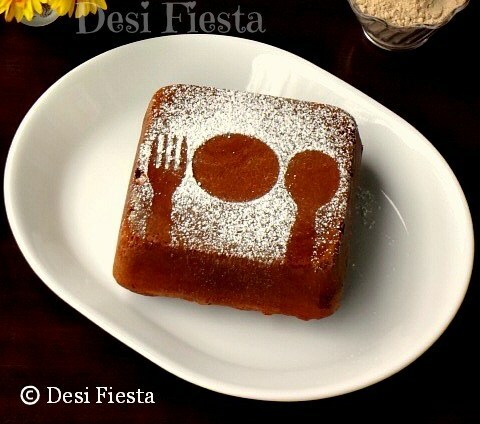 Well, you’re all set with this healthy Sathumaavu Vanilla cake from Desi Fiesta! 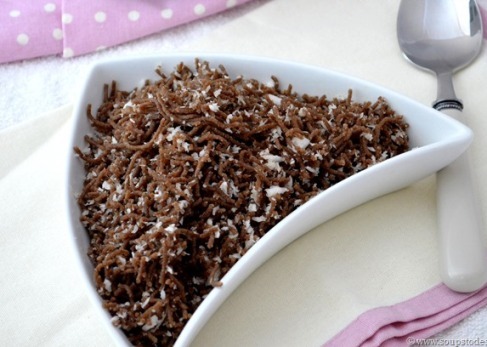 Serve with chocolate ganache – they’ll never realize it’s sathumaavu inside! There’s never a rhyme or reason to feel like eating halwa, but all that maida isn’t exactly healthy. 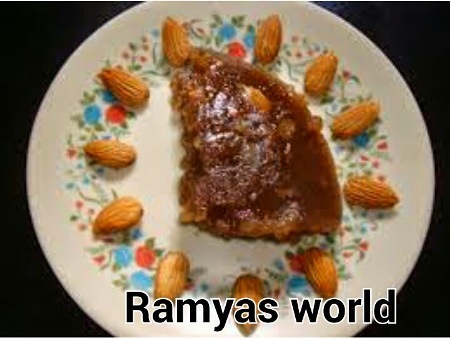 Ditch the guilt and embrace the sweetness with this yummy Sathumaavu Halwa recipe from Ramyas Recipes and Crafts. We’re pretty sure you didn’t think that you could make Mysore Pak with Sathumaavu, but they’ve proved it at A Peek into My Kitchen! Try out this classic favorite with Health Mix – it’s going to be an interesting change from the usual! You can find packaged Sathumaavu at various stores, but remember to go for a brand you trust – one that uses 100% natural ingredients and free of preservatives. Else, all the health benefits of Sathumaavu will be negated by the chemicals in the preservatives and additives! 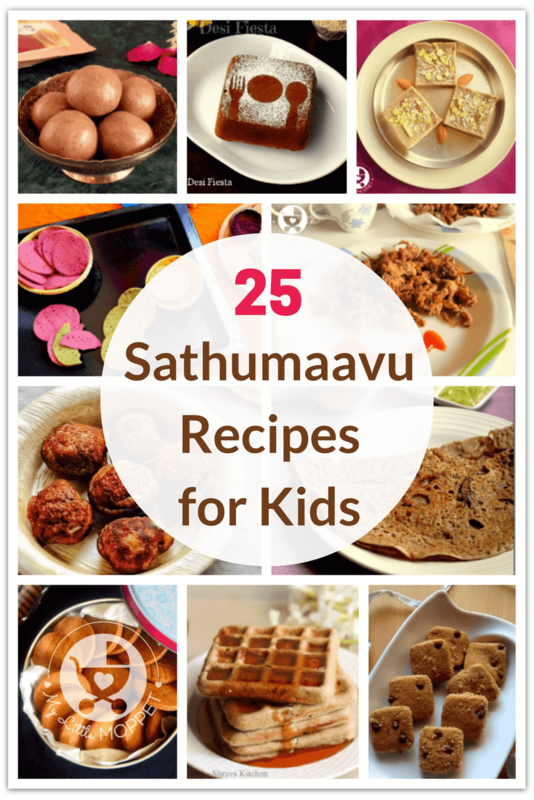 Once you find the right Sathumaavu, you’ll find that all the recipes taste a whole lot better! Hi, shall i make a health mix powder with millets along with brown rice, green gram, sago and almond? Shall i make this combination and take in porridge form daily? Yes, you can add the mentioned ingredients while preparing sathumaavu. Please do follow 3 day rule while feeding the baby. 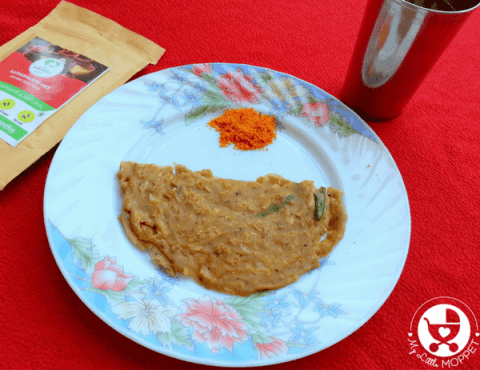 why sprouted health mix powder can’t be done at home like sathamaavu mix? Sprouted health mix can also be made in home just like sathumaavu. The ingredients will be same the only difference is that the ingredients needs to be sprouted overnight dear and extreme care needs to be taken while sprouting. 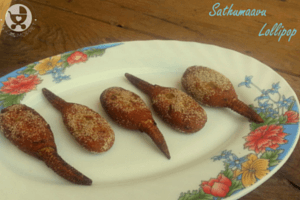 What’s The Difference between Sathumaavu and Millet Sathumaavu ? my baby is 1yr old. Hi, while sathumavu is made of the pulses, rice and some dry fruits, millet sathumaavu is made from the range of millets, that is the difference. For more information you can check out the ingredients on the pack in our online store.  Can i give sathmavu to a 9 month old daily? Yes you can give. When you introduce for the first time, please give very less quantity.